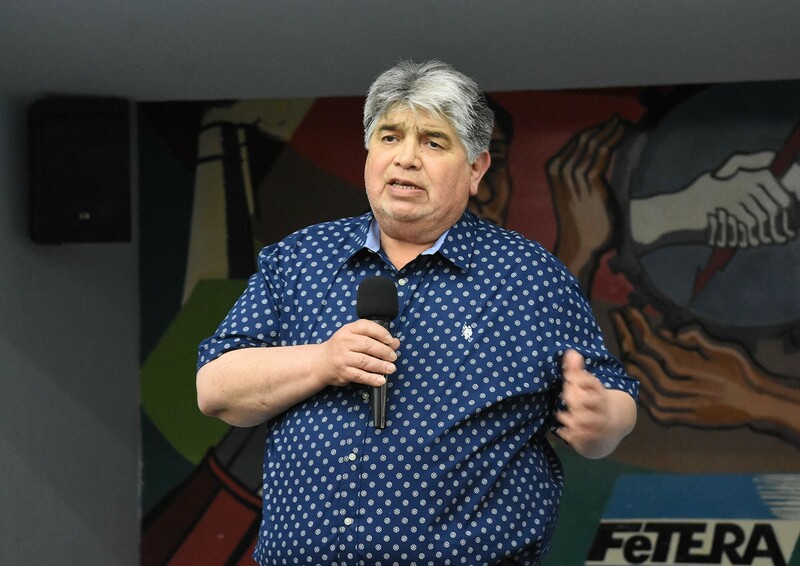 The General Secretary of the Luz y Fuerza Mar del Plata trade union, said that a federal union action, with demonstrations and mobilizations throughout the country, is necessary. In his opinion, the labor march expected on April 4th should result in a national strike in unity of action in order to demand an end to the brutal austerity measures carried out by Mauricio Macri’s government. “The government has no qualms about continuing to severely hit popular sectors and workers. We believe that it is not enough with just a mobilization and a public act, a national strike in unity has the forcefulness that is needed for this moment,” Rigane highlighted. Rigane also pointed out that the Autonomous CTA has been raising to other trade union centers and social movements the need to coordinate a strike in unity with mobilizations throughout the entire country. “This is the measure we must take in the face of a government that only meets with the IMF and continues to push the economic adjustment for the benefit of those who concentrate power and wealth,” he added.